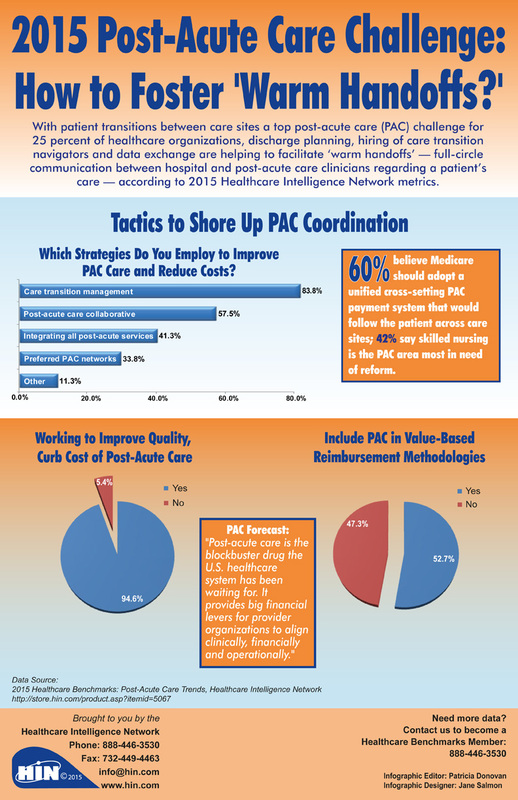 With patient transitions between care sites a top post-acute care (PAC) challenge for 25 percent of healthcare organizations, discharge planning, hiring of care transition navigators and data exchange are helping to facilitate 'warm handoffs'—full-circle communication between hospital and post-acute care clinicians regarding a patient's care—according to 2015 Healthcare Intelligence Network metrics. Beyond reducing per-episode costs and readmissions, Brooks Rehabilitation’s experience in CMS’s Bundled Payments for Care Improvement (BPCI) initiative helped the post-acute care provider to identify gaps in care and staff training, notes Debbie Reber, vice president of clinical services for Brooks Rehabilitation. Listen to Ms. Reber identify how Brooks Complete Care program achieved its biggest savings as well as the care and training enhancements resulting from the rehabilitation system’s participation in BPCI’s Model 3. 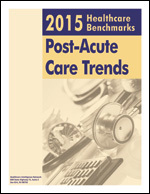 More information on this topic can be found in: 2015 Healthcare Benchmarks: Post-Acute Care Trends. This 40-page report captures efforts by 92 healthcare organizations to enhance care coordination for individuals receiving post-acute services following a hospitalization—initiatives like the creation of a preferred PAC network or collaborative.